Indeed, the present administration apart from the above has upon the assumption of office in 2015 initiated/taken appreciable steps that were observably heartening. Telling examples of such includes the enactment of Gas Flare prohibition and punishment Act 2016, an act that among other things made provisions prohibit gas flaring in any oil and gas production operation, blocks, fields, onshore or offshore, and gas facility treatment plants in Nigeria. This is in addition to the recently launched National Gas Flare Commercialization Programme, NGFCP, a programme that is according to the Federal Government aimed at achieving the flares-out agenda/zero routine gas flaring in Nigeria by 2020 and not without technical, economic commercial and development standpoints. However, while the efforts of the Federal Government are commendable; some questions immediately come to mind. For instance, apart from Kachikwu’s comment not being the first time, Nigerians are greeted with such moves which never come to fruition, Nigerians with a critical interest and the watching world would like to know the arrangement on the ground geared towards providing enabling environment/incentive that will aid the directive. Again, beyond ending gas flaring, which is just a part of the whole, the Minister did not tell us, and Nigerians have not asked about the plan (both short and long-term) the administration has for the visibly degraded environment occasioned by crude oil exploration activities, the heavily contaminated shallow and underground water, and the exploited communities and region. To many, not taking cognizance of the above crucial issues by the Federal Government is but a clear indication that they (the Federal Government) have not absorbed enough lessons from history, and in the historian’s phrase, is doomed to repeating the mistakes that have already been made, as the list of actions not yet taken by the Federal Government to make the oil sector function prominently remains lengthy. Adding context to this discourse, the major reason why gas is usually flared is that when crude oil is extracted from onshore and offshore oil wells it brings with it raw natural gas to the surface and where natural gas transportation, pipelines, and infrastructure are lacking, like in the case of Nigeria, this gas is instead burned off or flared as a waste product as this is the cheapest option and has been since the 1950s when the crude oil was first discovered in commercial quantities in Nigeria. In the same style and span, precisely on July 2, 2009, the Nigerian Senate passed a Gas Flaring (Prohibition and Punishment) Bill 2009 (SB 126) into law fixing the flare-out deadline for December 31, 2010 – a date that slowly but inevitably failed. Not stopping at this point, the FG made another attempt in this direction by coming up with the Petroleum Industry Bill which fixed the flare-out deadline for 2012 – the list is endless. Without fail, one undisputable position looking at the 1969 Petroleum Act (as amended) relevant to impact on environmental pollution, schedule 24 of the Petroleum Act empowers the Minister to revoke any oil prospecting license or oil mining lease if, in his opinion, the licensee or lessee does not conduct operations with good oil field practice or has failed to furnish such operational reports as the minister may lawfully require. Yet, for the Federal Government to think that their purported threat will solve the challenge posed by pollution can only but meet with mirage and the reason for this voiced opinion commons in double fold-apart from curbing flaring being an expensive programme which majority of the oil prospecting Majors shy away from, pollution from oil spillages/wastewater from the activities of the oil industry has become a reality that Nigerians worry about. 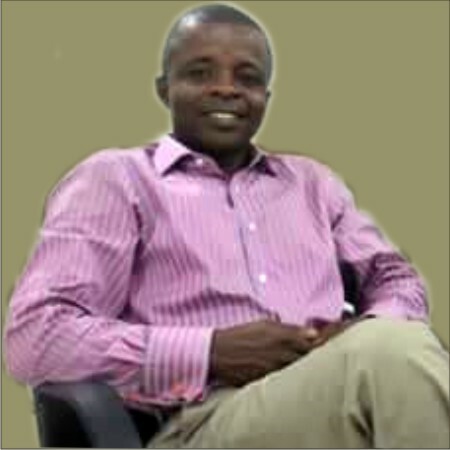 The truth of this world is that aside gas flaring; petroleum waste management challenge has become a silent but visible source of misery and by far, the most serious of the strategic environmental threat facing the country thereby calling for an integrated approach to solving pollution problem in Nigeria. Definitely, the question may be asked as to if this is the true position of things, why industry waste and contamination of underground water is not being discussed as gas flaring? The unhappy truth to that question is that pollution from gas flaring and spillages, for example, are usually sensational and obvious for all to see. But groundwater contamination resulting from events such as waste mismanagement is more insidious and not easily noticed. Also fuelling the belief why shallow/groundwater contamination is not giving attention despite its insidious effect on human lives, animals and the agricultural production, is that regulation (40) of the Petroleum (Drilling and Production) Act (as amended) which provides for the storage of waste by the operators in compliance with safety regulations was curiously silent on the consequences of failure to comply; a provision that has given the operators the opportunity for ‘’self regulation. Erovie Community in Ozoro Delta State where an oil company operating in the locality surreptitiously buried toxic waste in abandoned oil well and refused to evacuate some until it became a health hazard and destroyed agricultural prospects in the writer’s views stands as a telling example of the failure of these asymmetrical provisions and by extension, that of the government. What is majorly fanning the nation’s environmental pollution crisis in the writer’s views is that when it comes to enforcing environmental laws, Nigerian Government consistently chooses special interest over its obligation to protect the people from pollution. It regularly ignores scientific evidence in favour of unproven assertions generated by the beneficiaries of the crisis. And, without minding what others may say, efforts to solving these challenges posed by pollution in Nigeria orchestrated by oil mining activities should among other actions include the Government adopting a holistic approach that will pave way for the Petroleum Industry Governance Bill to see the light of the day. 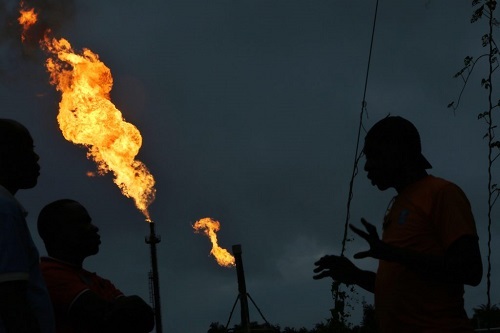 While waiting for the above to materialize, it will be rewarding if the Department of Petroleum Resources (DPR) ensures the success of the recently launched National Gas Flare Commercialization Programme (NGFCP), while adhering to the provisions of section 15 of the Gas Flaring (Prohibition and Punishment) Act. These are small beginnings that will guarantee a pollution free Nigeria and ensure a more rewarding oil sector.